US Deputy National Security Advisor Ben Rhodes has told the whining Israeli prime minister that only he is responsible for Washington’s decision to allow the UN Security Council to adopt a resolution that condemned Israel for illegal settlement construction in occupied Palestinian territories. The administration of President Barack Obama allowed the UN Security Council resolution to pass on Friday by refusing to veto it, defying extraordinary pressure from Benjamin Netanyahu and the incoming US president, Donald Trump. TEL AVIV, December 24. /TASS/. Israel will not abide by the terms of a United Nations Security Council (UNSC) resolution demanding an end to settlement activity, Israeli Prime Minister’s spokesperson Ofir Gendelman said on Saturday. “Israel’s response to the UNSC resolution: Israel rejects this shameful anti-Israel resolution at the UN and will not abide by its terms,” Gendelman wrote on Twitter. “Israel looks forward to working with President-elect Donald Trump and with all our friends in Congress, Republicans and Democrats alike, to negate the harmful effects of this absurd resolution,” the statement said. “At a time when the Security Council does nothing to stop the slaughter of half a million people in Syria, it disgracefully gangs up on the one true democracy in the Middle East, Israel,” the statement said. “The Obama administration not only failed to protect Israel against this gang-up at the UN, it colluded with it behind the scenes,” Netanyahu’s office said in a statement. Rhodes turned down Netanyahu’s claim that Obama colluded with other members behind the scenes, saying that the president only informed his national security team on Friday morning of his decision to abstain from the vote. Rhodes added that the Israeli premier had only himself to blame for the rebuke at the UN Security Council, saying Netanyahu did not pay attention to repeated Obama administration warnings that increased illegal settlement activity on the occupied Palestinian land could lead to greater pressure from the international community. “Prime Minister Netanyahu had the opportunity to pursue policies that would have led to a different outcome today,” Rhodes said. The vote came a day after Trump personally intervened to keep the measure from coming up for a vote. Israeli officials said they were aware of such plans by the White House and had turned to Trump for support. Minutes after the Security Council vote was announced, Trump condemned the Obama administration for its decision not to veto the UN resolution, vowing that it would be “different” under his rule. “As to the UN, things will be different after Jan. 20,” Trump tweeted, referring to his inauguration day. And “President Obama is the president of the United States until Jan. 20 and we are taking this action, of course, as US policy,” he stated. There was thunderous applause on Friday in the Security Council chamber following the vote, after the Obama administration delivered a parting kick to the Netanyahu regime. The decision of the Obama administration, which has grown increasingly frustrated with Tel Aviv’s illegal settlement construction, to abstain from the Security Council’s 14-0 vote is one of the biggest US rebukes of its long-standing ally in recent history. Given that most of the world is opposed to Israeli settlements, the UN Security Council action will be almost impossible for anyone, including Trump, to reverse. Jordan has hailed as “historic” a United Nations Security Council resolution demanding a halt to Israel’s construction of settlements in the occupied Palestinian territories. Jordan’s Information Minister Mohammad al-Momani said Saturday that the resolution, which demands that Israel stop its settlement activities in the territories it occupied in 1967, reaffirmed the right of the Palestinians to live in their homeland. “This historic decision expresses the consensus of the international community on the illegality of Israeli settlements and reaffirms the Palestinian people’s historic right (to live) in [East] Jerusalem [al-Quds] and its historic lands,” said Momani. UNSC Resolution 2334 was passed with 14 votes in favor and one abstention — by the US — on Friday. It condemned the establishment of settlements by Israel in the occupied Palestinian territories a “flagrant violation under international law,” which it said was “dangerously imperiling the viability” of peace and the establishment of a Palestinian state. More than half a million Israelis live in over 230 settlements built since the 1967 Israeli occupation of the West Bank including East Jerusalem al-Quds. The international community regards the settlements as illegal as they are built on private Palestinian lands. Israel has defied international calls for a halt to its settlement activities. Momani added that the UN vote could pave the way for the so-called two-state solution, noting that the issue of settlements was a major impediment in this regard. Jordan, a major proponent of the so-called two state solution, is among the few Arab countries to have diplomatic ties with Israel. Palestinians want the West Bank as part of their future independent state, with East Jerusalem al-Quds as its capital. They have also been protesting Israeli plans to change the status quo of Al-Aqsa Mosque in East Jerusalem al-Quds. Since October 2015, nearly 270 Palestinians have been killed in violent clashes that erupted after Israel intensified its raids against Palestinian protesters. Palestinians have collectively welcomed a United Nations Security Council resolution that censured Israel for its settlement activities in the occupied Palestinian territories. Officials from the Palestinian Authority, Hamas, and Islamic Jihad hailed the Friday decision, which was made possible as the United States uncharacteristically decided to abstain rather than veto it. “It confirms the illegitimacy of settlements which form a clear violation of international law and obstacle to achieving a two-state solution,” he said. Riyad Mansour, the Palestinian ambassador to the UN, expressed optimism that the resolution could pave the ground for the restoration of peace in the occupied Palestinian territories. He hinted, however, that the resolution may be too little, too late. “After years of allowing the law to be trampled and the situation to spiral downward, today’s resolution may rightly be seen as a last attempt to preserve the two-state solution and revive the path for peace,” Mansour said. “We welcome this important transformation and development in international positions supporting Palestinian rights in international forums… as we call for more of these positions,” the statement read. Hamas also voiced support for the Palestinian leadership’s international strategy to achieve statehood but reiterated the need to continue resistance against Israel. “There is an international public opinion against Israel and its policies and it has become possible to isolate, boycott, and pursue Israel in international forums for the crimes and aggression it commits,” Shahab said. Meanwhile, UN Secretary General Ban Ki-moon also welcomed the Security Council’s adoption of the resolution. He expressed hope on Friday that the decision would lead to the resumption of talks between the Israelis and the Palestinians. “The secretary-general takes this opportunity to encourage Israeli and Palestinian leaders to work with the international community to create a conducive environment for a return to meaningful negotiations,” Ban’s spokesman Stephane Dujarric said. Resolution 2334 was passed with 14 votes in favor and one abstention — by the US — on Friday. It was the first resolution on Israel and the Palestinians that the 15-member body has passed in about eight years. Israel had asked US President-elect Donald Trump to pressure Cairo to delay voting on the draft resolution. Egyptian President Abdel Fattah el-Sisi is believed to maintain good ties with Trump. After Egypt’s withdrawal, however, Senegal and New Zealand, two other members of the UN Security Council, forwarded a motion of their own for a vote on the text. The US administration decided to break with a long-time policy of vetoing condemnatory resolutions against Israel by abstaining. The resolution described Israeli settlements as a “major obstacle” to peace and demanded an end to their expansion. 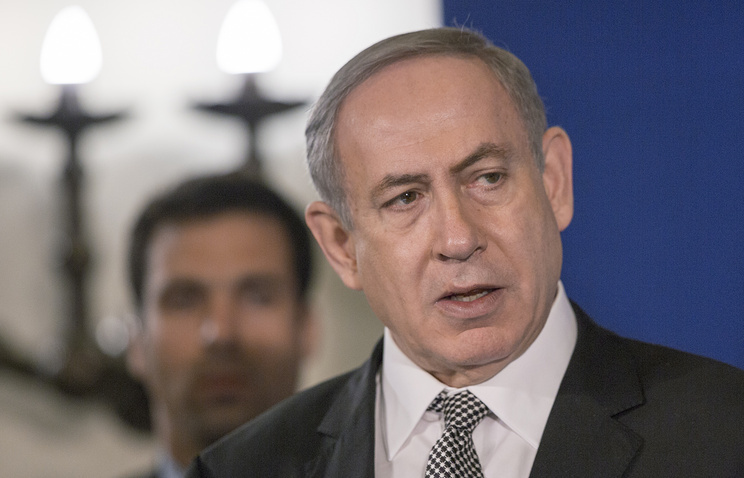 Israeli officials responded with rage at the resolution and Washington’s abstention in particular. Israeli Ambassador to the UN Danny Danon lashed out at the administration of President Barack Obama and expressed hope that both Trump and the incoming UN secretary general, António Guterres, would establish closer ties with Tel Aviv. “It was to be expected that Israel’s greatest ally would act in accordance with the values that we share and that they would have vetoed this disgraceful resolution,” said Danon. “I have no doubt that the new US administration and the incoming UN secretary-general will usher in a new era in terms of the UN’s relationship with Israel,” he added. In a post on Twitter, where he has found a platform through which to air his views, Trump said after the vote that, “As to the UN, things will be different after Jan 20th,” referring to the date when he will be assuming office. “Israel looks forward to working with President-elect Trump and with all our friends in [US] Congress, Republicans and Democrats alike, to negate the harmful effects of this absurd resolution,” the statement read. Netanyahu’s office announced in the early hours of Saturday that Tel Aviv had recalled its envoys to Senegal and New Zealand for consultations, and had tasked the Foreign Ministry with cancelling a scheduled visit to Israel by Senegalese Foreign Minister Mankeur Ndiaye and scrapping an aid program for the West African country. Israeli cabinet minister Tzachi Hanegbi said the US abstention vote “spits in the face” of incoming Trump. Resolution 2334 condemned Israeli settlements in East Jerusalem al-Quds and the occupied West Bank as a “flagrant violation under international law,” which it said was “dangerously imperiling the viability” of peace and the establishment of a Palestinian state. Earlier this month, Israeli lawmakers approved a hugely-controversial bill legalizing some 4,000 settler units built on private Palestinian land in the occupied West Bank, in the first of three readings needed to turn it into law. The United States, Israel’s strongest ally, Germany, the country least critical of Tel Aviv in Europe, UN officials, and the European Union all strongly criticized the bill. More than half a million Israelis live in over 230 illegal settlements built since the 1967 Israeli occupation of the West Bank and East Jerusalem al-Quds. Built on occupied land, the settlements are internationally condemned as illegal. The Palestinian Authority wants the West Bank as part of a future independent Palestinians state, with East al-Quds as its capital. I don’t know what’s his business with supporting a fascist estate, but it will cost him in the future. The PM of New Zealand, a jew called John Keys, to everyone’s surprise, suddenly resigned a month ago. Not sure if had any bearing on the draft. Pity the UNSC didn’t give 29 standing ovations when the draft was being read out. Nothing is ever to late, although things not looking good with Trump having his strings pulled by Nuttyahoo. Anyone see the disgusting video Trump did for Nuttyahoo during israels election, available on line. I saw it. F’n pathetic. Personally, I like how Israel Shahak put it, “The widespread misconception that Israel, even without considering its regime in the Occupied Territories, is a true democracy arises from the refusal to confront the significance of the term ‘a Jewish state’ for non-Jews.” He goes on to mention a group of Peruvians that converted to Judaism, migrated to Israel and were entitled to land and rights in Palestine that were not available to Palestinians. Today’s ashkeNazi, apartheid state called Israel, is itself a fraudulent disgrace. Oscar Williams, from the Facebook comments, is totally misinformed. Those European ashkeNazi Jews, who invaded Palestine before and after WW2, have zero historical claim to that land. Aside from about 3% of them, they are the descendants of converts. They are not genetically related to the ancient Hebrew/Israelites, which is why the Jewish almanac tells us, “strictly speaking, it is incorrect to refer to an ancient Israelite or Hebrew as a Jew, just as it is incorrect to refer to a contemporary Jew as a Hebrew or Israelite.” Hebrews were never called Jews. A Jew is someone who has converted to Judaism, or was born to a mother who converted to Judaism before they were born. Judaism is merely a religion based on the practice of the Pharisees and the most historical piece of Judaic literature in existence, is the Talmud, according to the universal Jewish encyclopedia. Jesus referred to the Pharisees as the “synagogue of satan” and “sons of their father, the devil”. A very good UNSC resolution — with U.S. support (for a change). Thanks to WW1/WW2 Brits & others, Israel was recognized by UN with indefensible borders. Regardless, nothing gives Bibi a right to violate the implicit agreements to follow international law that prior PMs implicitly agreed to honor (at least ‘de facto’) regarding settlements in captured territories — especially when almost all others oppose what Bibi is doing (counterproductively). Bibi’s choice now is to withdraw from the international community & UN, which would doom Israel & Israelis (and many others). Despite what Trump might want, U.S. will not risk WW3 to defend Israel — due to strong opposition by U.S. citizens, who do not want another big war (or even another small war). … Working with Trump, Putin & others, Israel can make a good deal… which safeguards Israel’s internal & external security against attacks — with credible national security guarantees from U.S., Russia & others. In numerous meetings since October 2015, Putin & Bibi have discussed this. To get this deal, Bibi & Co. will need to stop interfering in the internal affairs of other nations (e.g., Syria, where Bibi’s intel officers were captured in Aleppo, advising IS/Daesh & terrorists); and Israel will need to settle post-1967 claims regarding captured territories in a manner that works for both Israelis AND others (e.g., return of Golan Heights to Syria). Short of this, Bibi will continue to hurt Israel — AND many others. It is complicated a US President usually has to also serve Israel’s interest but at end of Presidency, a President has some freedom to do good because he doesn’t need money for a re-election and want’s to improve how he will be remembered. Also Israel was never a big thing for Obama during his life, more so Jewish Saul Alinsky’s Marxism ideology and possibly Freemasonry casues. Now Trump is fresh selected and needs to do the bidding for those who helped him win and here Israel plays a big part. Trump owes a lot to Zionist son in law Jared Kushner who according to many sources was the mastermind behind his campaign. Also to Steven Bannon who helped Trump late in his campaign worked for Zionist Breitbart News and he is a Zionist. Breitbart News was started in Jerusalem in 2005 by A.Breitbert, Netanyahu and Solov. Aslo David Friedman is a long time friend of Trump’s and has helped Trump in bankruptcy cases before. Trump has already paid back to Friedman by appointing him as US ambassador to Israel. Also the harden Zionist Sheldon Adelson who is a friend and who was Trump biggest single donor during elections. Trump also has a history of caring for Israel his whole life, even his father before him cared about Israel as Trump has said this on television. So, what´s new? When has Judaism´s leaders ever abided by the UN´s land-grant of 1948? Better yet, when has Judaism´s leaders ever abided by any laws or tenets other than their own fairy-tales and over three thousand years old motto, “By way of deception shalt thou do war”? Will now NATO forces be deployed upon the request of Palestinian authorities? Can Palestine apply for and join NATO? Can Palestine apply for the Hague? Who knows but maybe we can buy some decent arms for the Palestinians and smuggle them into Gaza. I hear Russia has some interesting pieces of equipment. I’m waiting to hear Norman Finkelstein’s reaction to this, he may be surprised and quite pleased. More proof that isreallhell is a rogue state, unconcerned with the rest of humanity, run by deviants, psychopaths and perverts of every sort. 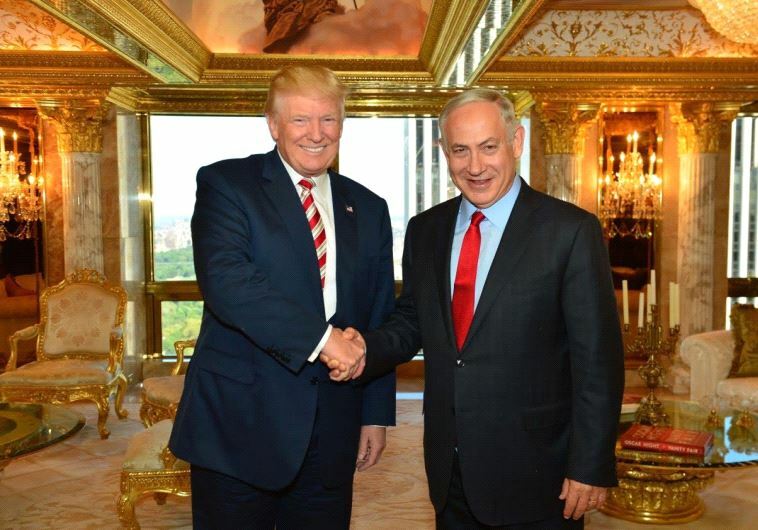 Netanyahu for dead rotting corpse. Like the shock of a spoiled brat at its first whack Israel falsely believes its defiant tantrums will alter international laws. As I can never forget June 1967 I will never forget the day the tide turned against the wolf in a sheepskin, albeit too late. WELL ALL YOU TRUMPERS OUT THERE ,HOWS HE DOING SO FAR ? ?I HOPE THAT YOU GET THE MESSAGE .HE IS A ZIONIST AGENT PERSONIFIED.AND JUST WATCH NETANYAHU SQUIRM .OBAMA HAS BEEN A THORN IN NETANYAHU SIDE SINCE THE START OF OBAMA S TERM.BUT THE LEFT WING HATERS I.E. LIBERTARIANS AND REPUBLICAN S AND ALL ZIONIST AGENTS IN THE U.S.GOVERNMENT HAVE SPENT 8YRS BASHING HIM FOR IT.MAYBE IN THE LAST FEW WEEKS HE COULD DO SOME REAL DAMAGE TO THE ZIONIST IN THE GOVERNMENT ,BY REVEALING “”AIPACS”” CONTROL OF THE CONGRESS OF WHICH HE HAD TO FIGHT EVERY GOD DAN DAY.SOMEDAY HE MAY WRITE A BOOK TELLING EXACTLY WHAT AND WHY HE DID WHAT HE DID.IT WOULD DESTROY THE U.S .FOR GOOD. SIC SEMPRE TYRANNUS!!! Your capitalized vitriolics overlook several documented facts. Members of congress have pledged 1st allegiance to “Israel” instead of the U.S., zionist agents that steer the Pentagon continue to lead NATO support of German dictator-chancellor Merkel´s enablement of ISIS-ISIL to drive Arab Moslems and Arab Christians into Germany and the entire E.U.. That the CIA/MOSSAD united straggling groups of “al Kaeda”, the MuslimBrotherhood and Blackwater into ISIS-ISIL 2014-2015, missed your attention. That CIA “black-budget” dollars plus Saudi oil dollars funds ISIS-ISIL, although VT articles document that Judaism´s MOSSAD commands ISIS-ISIL, seems to have missed your scrutiny. VT articles have not associated Donald Trump with any of the above, in spite of VT´s continued bashing of Trump. Congresswoman Cynthia McKinney, a woman from Stone Mountain, Georgia, revealed Judaism´s oath of 1st allegiance to “Israel”, required of members of congress, to prevent Judaism from funding propaganda that would insure their defeat at the next election. Thus far, Dr. Cynthia McKinney, a Black female, is the only American with the courage and patriotism to reveal Judaism´s subterfuge of the U.S.Congress and thus the U.S.of America. Which, cost her the reelection in 2002. Just one more resolution for Israel to thumb its rather large nose at.